The competition for broadcasting rights has never been wilder. Since Twitter, Facebook and Amazon (just to name a few) started to close big deals with top competitions, sports are suddenly reaching their fans on totally new channels. Besides, to federations as well as to events or clubs it’s getting easier to broadcast themselves. Either via “vehicles” such as YouTube or on their own streaming platforms. To the big players this provides a powerful tool for content control – attractive to sponsors, too. To smaller organizations it’s a great way to spread the word, as the IFF’s strategy proves. The Olympic Channel was launched this summer and it “is a digital-first, multiplatform global Olympic media entity, which aims to broadcast the Olympic Movement and its inherent values all year around, especially in the periods between the Olympic Games”, says the IOC on its website. For them it’s a clever project indeed. But the fan should be careful. Or at least remain vigilant. Because now the IOC owns the message. Out of the latest experiences it’s hard to believe, that critical topics such as doping, corruption or labour conditions of migrant workers will be communicated in an objective way. It’s also very likely, that the IOC will get more independent from national broadcasters. Yesterday news were made official, that Eurosport (a company of Discovery, which bought the primar rights from the IOC in 2015) will hold exclusive television rights in Germany for the next four Olympics, shutting out the traditional public broadcasters of ARD and ZDF. This doesn’t only mean more advertisement, but also less public display for all the smaller sports, which are out of spotlight between Olympic games anyways – such as floorball, if included into the olympic program one day. On the other side, the IOC has the interest, the money, the power and the reach to build a very complete platform, matching the digital habits of the younger generation, so far neglected by most of the public broadcasters. At least it has the chance to do so. 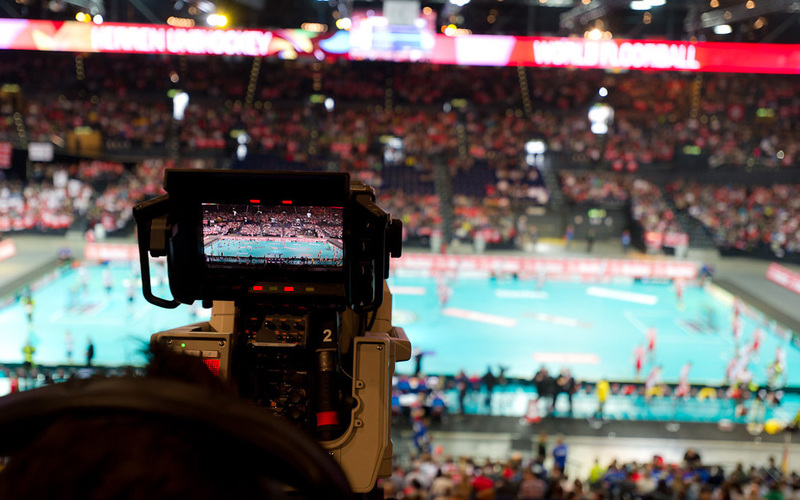 To floorball, in this very stage, the Olympic Channel is a great opportunity to speak to a broader, global audience. And as long as the rights stay in the right hands, floorball will benefit from this partnership – a lot. The IFF has announced TV broadcasts in China, Czech Republic, Estonia, Finland, Germany, Latvia, Norway, Slovakia, Sweden and Switzerland. Discussions are in process with Hong Kong, Macau, Singapore and Taipei and some other European countries. The World Championships will also be visible on the IFF YouTube channel and the IWGA World Games Channel.